We often are asked by our clients about the regulatory requirements for nannies to work, and in particular, whether, and how, nannies should become OFSTED registered. In this post, we explain what the regulatory requirements are around being a nanny, what it means for a nanny to be OFTSED registered, and how nannies, supported by their employers, can become registered. When you take on a nanny, they are almost invariably your employee (other than in some cases where a nanny is working very part time hours and they may be self employed, though this is quite unusual). So, they need to be eligible to be employed and work in the UK. However, assuming this test is passed, what else is required for a nanny to be allowed to work in a family? What are the regulatory requirements for a nanny to look after your children? What qualifications/certifications does she need? Well, the short answer is, there is very little official regulatory supervision of who can look after your children in a private employment relationship (i.e. nanny). Of course, this DOES NOT mean that you should employ just anyone! Rather, that the onus is on the employer (i.e. the parents), to ensure that your nanny has the appropriate level of checks and qualifications fit for your particular role. When you use an agency, many of these checks should be done on your behalf – if you are not using an agency then you need to understand what you should be looking for – though this can vary from family to family of course. 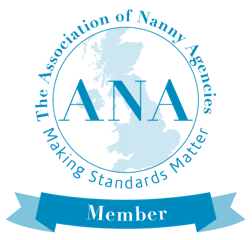 Unlike a childminder, who is a private childcare practitioner offering their services in their own home, nannies do not need to be OFSTED registered, and registration is not necessarily a benchmark of quality for a nanny. There are many excellent, experienced, and very well qualified nannies, who aren’t OFTSED registered. So what does it mean if your nanny is OFSTED registered, and should you be asking for this? What does OFSTED registration mean? In contrast to registered childminders, nannies do not have to be OFSTED registered, and there are many excellent and highly qualified nannies who are not. For nannies, OFSTED registration means being on what’s known as the “Voluntary Register”. The reason why some nannies are OFSTED registered and some aren’t normally comes down to their employing family’s request. This is because, when their nanny is OFSTED registered, a family can take advantage of using childcare vouchers to pay up to £243 per month per parent of their nanny’s salary (in real terms this saves tax of up to £892 per parent per year for basic rate tax payers, and up to £623 per parent per year for higher rate taxpayers). OFSTED registration does ensure that your nanny has all the above paperwork in place. However, it does not mean that nannies who don’t have the registration don’t have all these things in place. Most agencies, for example, will ensure that nannies have some or all of these things – as a minimum a recent DBS and paediatric first aid qualification. Should you ask your nanny to be OFSTED registered? Many nannies can become registered already if they have the requisite paperwork in place, and most others could be provided they obtain the relevant documentation. However, it can be quite administratively burdensome and time consuming, especially the first time! Thus, if your nanny or prospective nanny is not already on the register, it is worth thinking carefully about whether you wish to insist on this. For example, many families are able to use their childcare vouchers to pay for other forms of childcare, such as nursery and preschool fees, rather than paying their nanny with their vouchers. If this avenue is available then it is perhaps worth doing this rather than requiring an unregistered nanny to get registered. As nannies do not directly benefit from being on the register, it is common for families to meet the cost of the annual OFSTED renewal (£105 per year). The potential tax savings set out above significantly more than offset this cost. Additionally, if a nanny is required to do a Common Core Skills course (i.e. if they don’t already have an NVQ Level 3 or equivalent), we’d expect families to meet the cost of this as well. Nannies should have their first aid, DBS and nanny liability insurance, all three of which it is reasonable for nannies to meet the cost of these as part of their role though we are aware that some families are happy to help their nannies with this cost too. For more information and guidance on becoming OFTSED registered yourself, or how you can support your nanny in doing this, please contact Helen, on helen@happyfamiliesnannies.co.uk.